Sadly, no puppies for me this year. I am still raising my puppy dog Jaimie and he is a handful! A friend of mine just had a beautiful litter though and may still have a puppy available. These are gorgeous puppies from fantastic health tested parents. 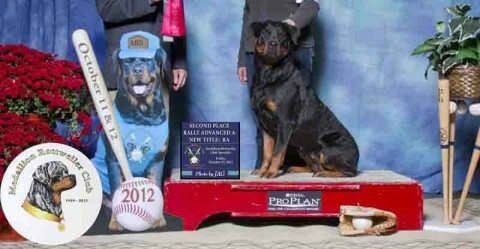 American Rotweiler Club The American Rottweiler Club (ARC) was formed in 1973 to encourage and promote the quality breeding of purebred Rottweilers and to protect and advance the interests of the breed. ARC is the Parent Club of the Rottweiler. DVG America DVG is the oldest and largest Schutzhund training organization in the world. Northern Illinois Schutzhund Club Northern Illinois Schutzhund Club brings together a group of individuals who desire to advance their training knowledge and handler skill in dog sport. Members are dedicated to promoting and preserving working dog breeds.